Kyoto University cell biologists wanted to find out if 'flipping' enzymes belonging to the P4-ATPase family were involved in inducing cell membranes to change shape. 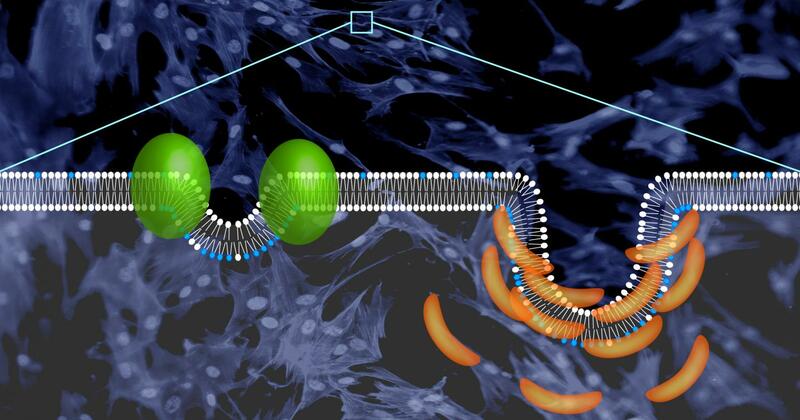 These enzymes flip specific lipids between the inner and outer layers of the membrane. Until now, it hasn't been clear if they played a role in changing the membrane's curvature, because scientists were not able to see their activity in conjunction with membrane deformation.